What's up, buttheads. It's me, Biff. Look, I know my sports betting advice this year didn't play out so well. Sorry if you bet your adjustable-rate mortgage balloon payment on one of my lead pipe locks. How was I to know I had a printer's error? 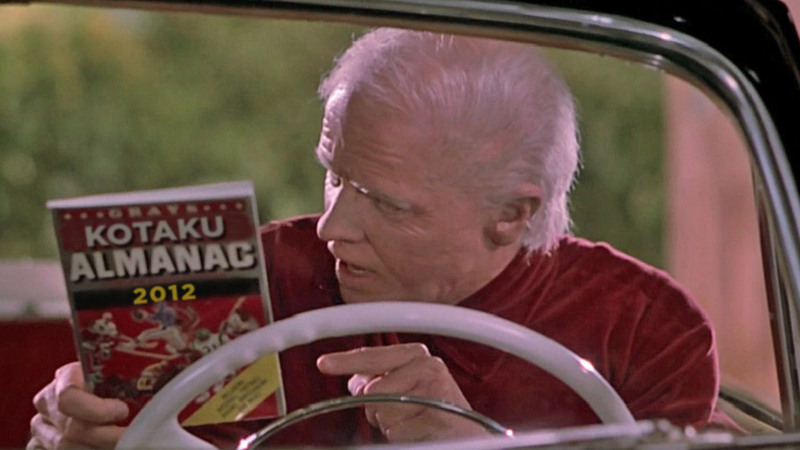 Really, that stuff was the Gray's Sports Almanac from 2014. So just bet my advice in two years at triple the amount, you'll win back everything you lost and still make a fortune. Anyway, even if I did give you the other half of the almanac, the notable events of 2012, what sports book was gonna give you odds that NBA Live 13 wouldn't release? That MLB 2K12 would be the last baseball game on the Xbox 360? OK, alright, those were probably even-money propositions. Still, here's the rest of what I should have told you would happen in 2012. Every main character needs a good nemesis. Seinfeld has Newman. McBain has Mendoza. And Tiger Woods has Scott Ratchman, who represents all the older kids Tiger defeated in his youth career. When Kobe Bryant hypothesized that the 2012 U.S. Men's Basketball Team would beat the 1992 squad — the original Dream Team — Michael Jordan just laughed. Charles Barkley said only three players from the current team could have cracked their roster. It's inevitable that women will appear as playable athletes in a football title, the executive producer of the FIFA video game series told a petition organiser. But it's far too late for that to happen in FIFA 13, and he couldn't commit to any future year in which it might for his series. I knew what was coming after I lost to Green Bay, 24-17, in Week 11 of my first season in Madden NFL 13. It was the same kind of thing that came in Week 2 after a gutwrenching 24-20 loss at home to San Francisco, in which I was cited for the lack of a "clutch gene." It was ESPN's Skip Bayless, a media personality I actively avoid, someone put on my TV screen by my Xbox 360 to bray about my defense's inability to tackle opposing runners. Never mind that I was controlling just one player, a running back. Win as a team, lose as a team, get ripped by Skip as a team. If it's in the game, it's in the game. "Hah-hah, there's Skip!" said my opponent, still connected by chat. Never pass up the opportunity to sit," Ben Haumiller (above) told me, as we slumped back on Virginia's vacated sideline bench at Wallace Wade Stadium, the Cavaliers in the locker room leading Duke 17-14 at the half this past Saturday. Pondering the long walk to the free concessions in the press box, I half considered sticking my mouth under the spout of the UVa water cooler. All we had been doing for the past four hours was standing on the sidelines and keeping quiet. But you really have no idea how draining that kind of work can be, especially in the early autumn sunshine at a Southern football stadium. Ben's face already betrayed the onset of a sunburn, and though I had worn a cap, my neck and cheeks were sure to peel in the next two days. My feet throbbed and by Monday I'd be walking with a limp, thanks to a poor choice of shoes. 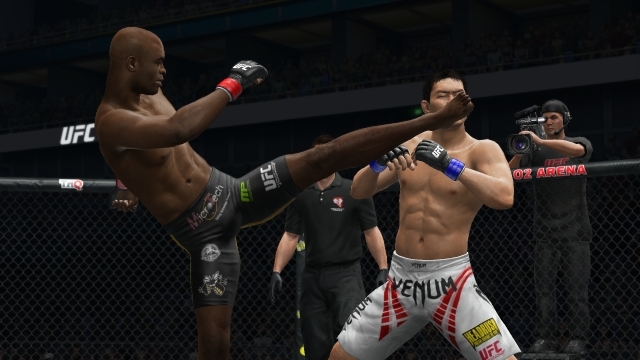 EA Sports, on Sept. 27, canceled its troubled NBA Live 13 project. It is the second time in three years that sports video gaming's dominant publisher has pulled the plug on its NBA simulation at the last minute.